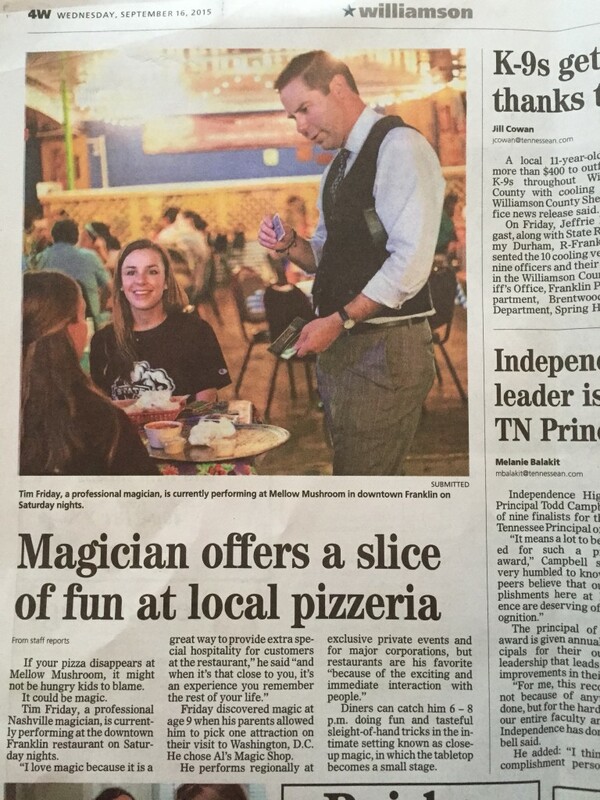 The Tennessean did an article about me performing magic at Mellow Mushroom in Franklin, TN. Magic is such a unique form of entertainment, especially in the Nashville area and this was nice to see because I had a number of people at the restaurant mention this article to me last Saturday night and said magic was the reason they came to Mellow Mushroom. You can still find me performing on Friday nights at Coco’s Italian Market and on Saturday nights at Mellow Mushroom in Franklin, TN. I hope to see you there soon!